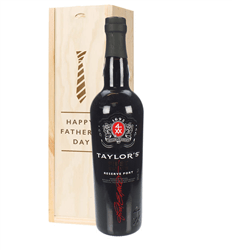 A lovely glass of Port of an evening will make any Father happy. 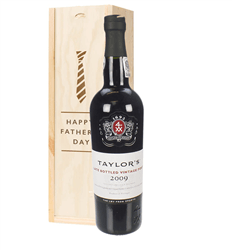 Send Fathers Day Port gifts from our range of Taylor's Port including First Reserve, Late Bottle Vintage, Dry Chip or 10, 20 or 30 year old Port. 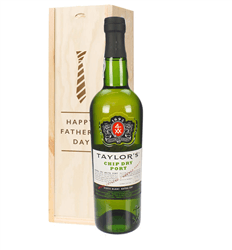 Simply order online or by phone and we will deliver your gift beautifully presented in our 'Happy Father's Day' branded wooden box complete with your own special gift message.